A talented cointener. 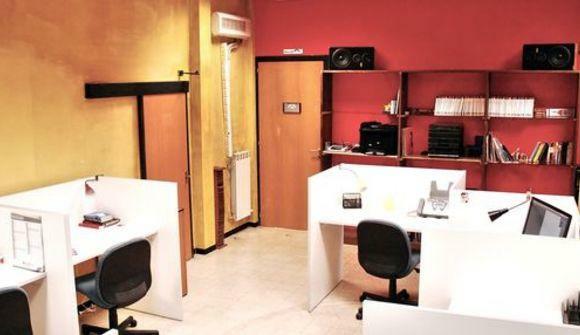 Co-working SPQwoRk is a dynamic and creative location near Tiburtina Station in Rome, where you can meet your customers, carry out your work and organize a meeting. The service is daily, weekly or monthly at affordable prices and without contractual obligations! Co-working is a cost-effective solution to develop your projects. In an open space we hold businessman who want to work in an exciting environment, dynamic and innovative. Every day, there is the possibility to deal with different business realities, share their ideas and projects, developing new synergies. Here you can find a comfortable and neat place of work, with all comfort and appropriate accessories but discharged by contractual obligations and various problems of management and maintenance. We offer 8 co-working desks, printer, scanner, fax and WiFi, optionally secretarial service, 2 offices and a big meeting room... even just for an hour!